In ancient Europe, the term gorget referred to a flat metal collar that was either open at the back, penannular, or that was a complete circle with a hinged opening. Decorative techniques included chasing and repoussé. Examples of historical gorgets include the Shannongrove Gorget, c.7th century B.C. and the Petrossa Gorget, c.6th-5th centuries B.C. During the Medieval and Renaissance periods the term was applied to a leather or steel throat protector that was part of a soldier’s armor. What began as practical neck protection in battle evolved into smaller (3 to 4 inches across) crescent-shaped ornaments suspended from a chain or ribbon worn around the neck during the eighteenth and nineteenth centuries. These were worn as a symbol of rank and an outward symbol that the officer was on duty. The tradition has continued in some countries and gorgets are emblazoned with patriotic symbols and indications of rank. Decorative symbolic gorget still exist today as part of modern military dress. Gorget in use by Native Americans were composed of shell, stone or bone disks worn as a breastplate and engraved with carved figures. 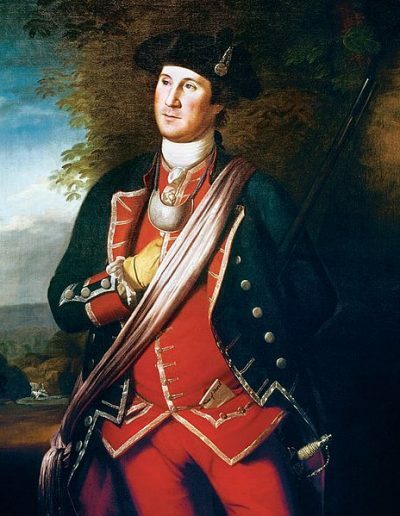 George Washington, c.1772, in his Colonel’s Uniform of the Virginia Regiment. 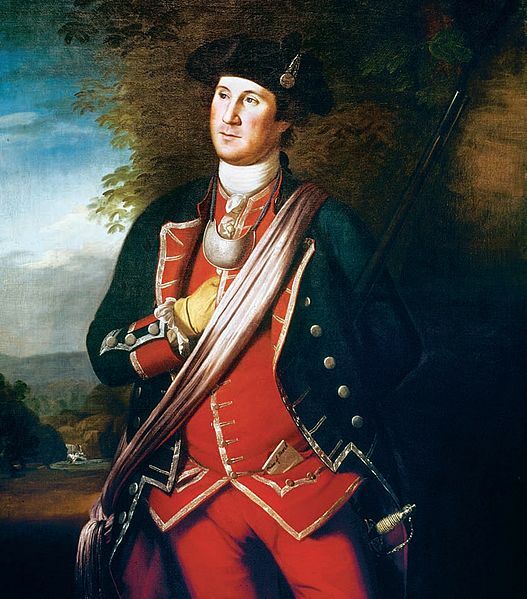 Note: Washington’s Uniform Includes a Gorget. Lang Antiques - 309 Sutter Street - San Francisco, CA 94108 - (415) 982-2213 © 2001-2019 Lang Antiques, All Rights Reserved.